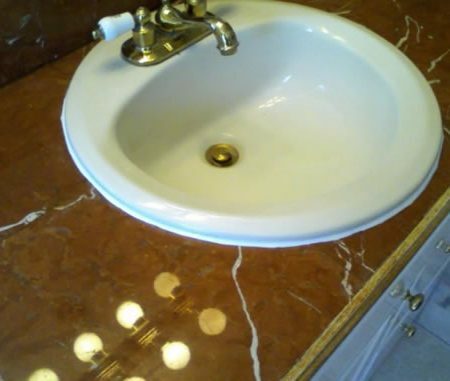 Marble vanity tops are very common in homes throughout the country. 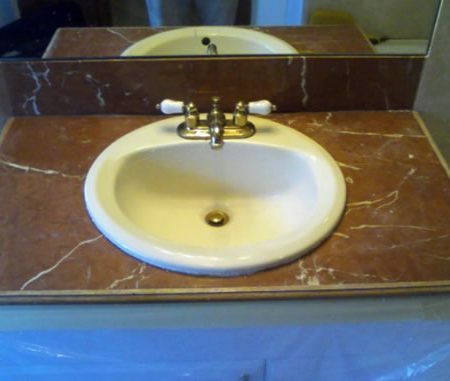 Over the years vanity tops appear typically. 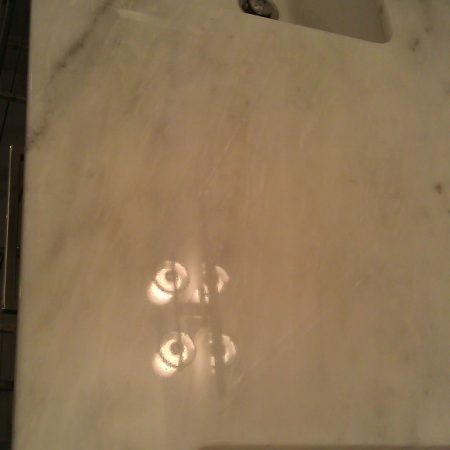 Marble can be easily scratched by abrasive, burned by cleansers, chipped or cracked. 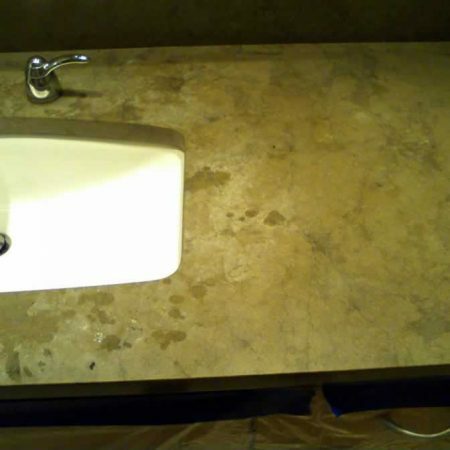 Also, vanity can easily get mold and stains. 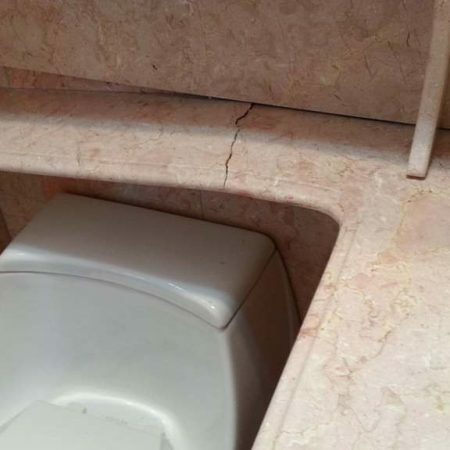 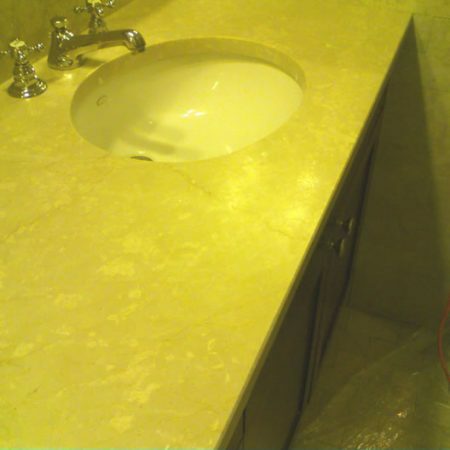 If you have one of like these marble vanity tops in your bathroom, and it in needs of restoration, call us and it can be restored to original appearance. 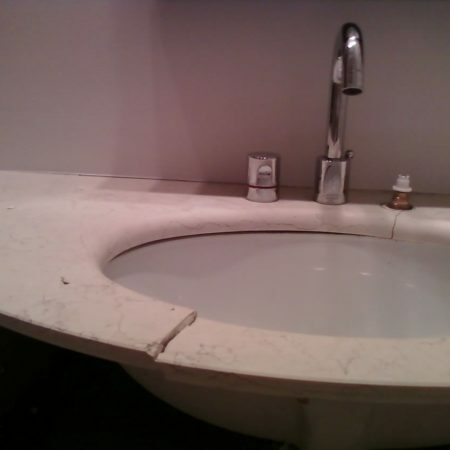 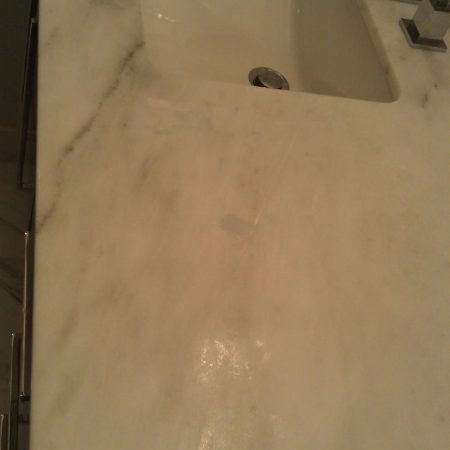 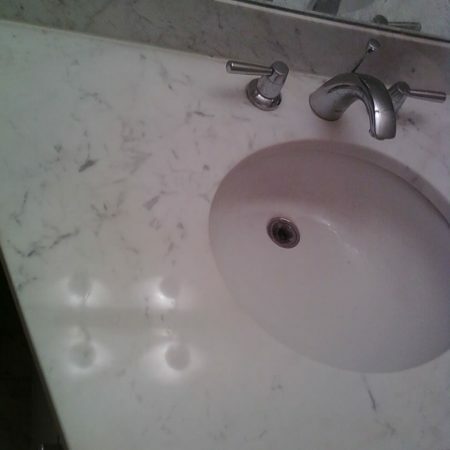 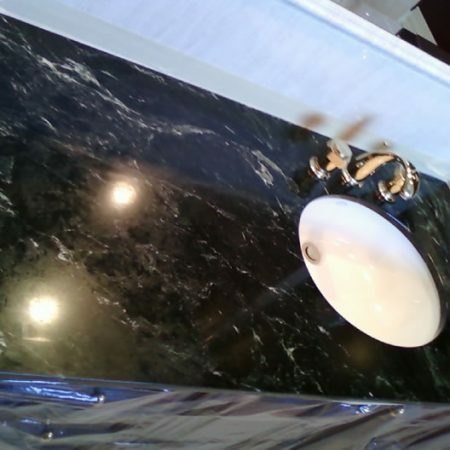 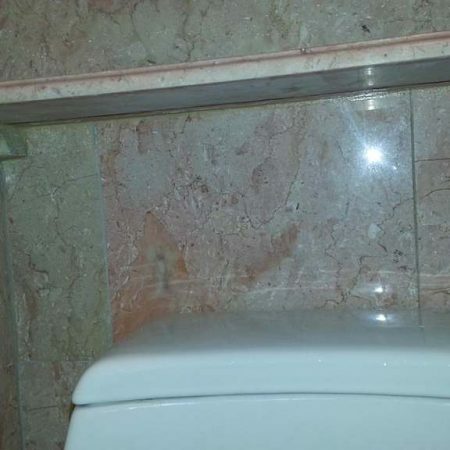 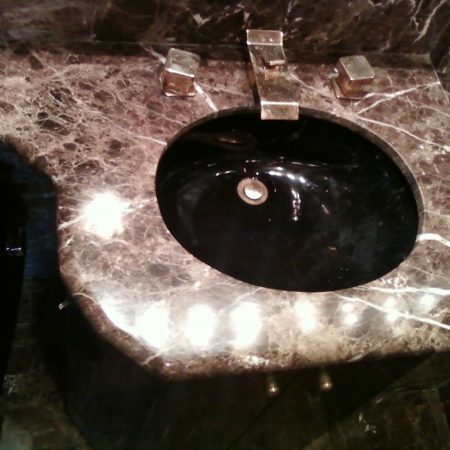 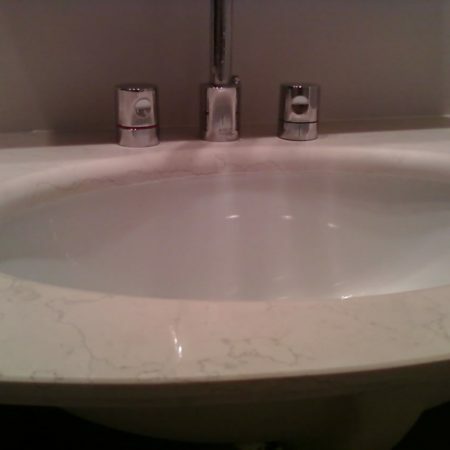 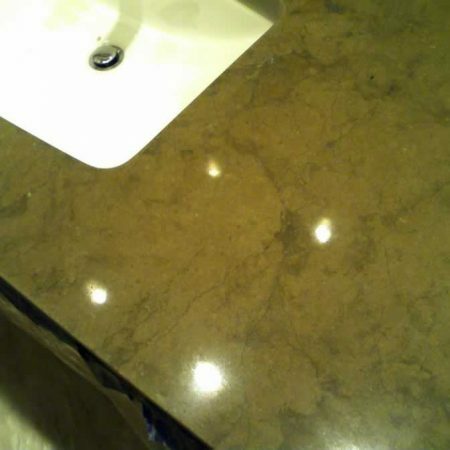 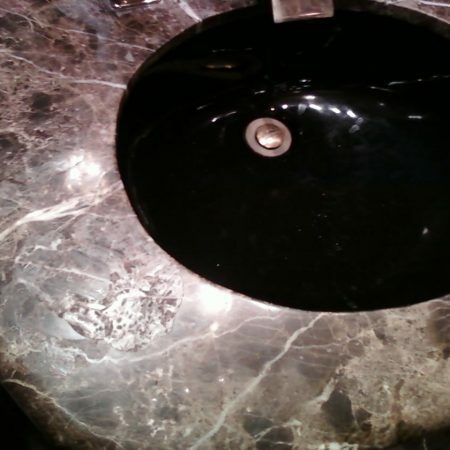 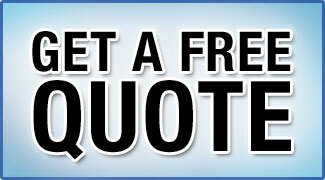 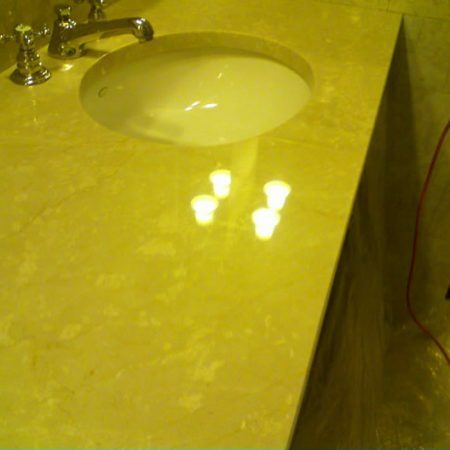 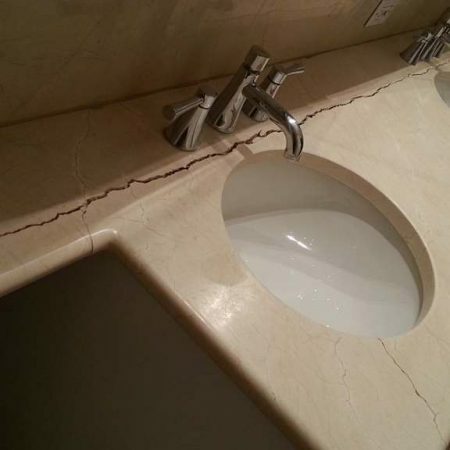 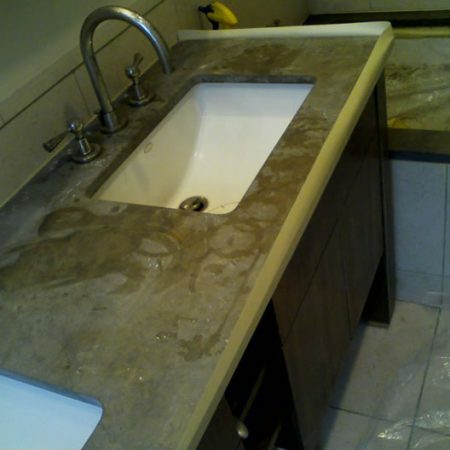 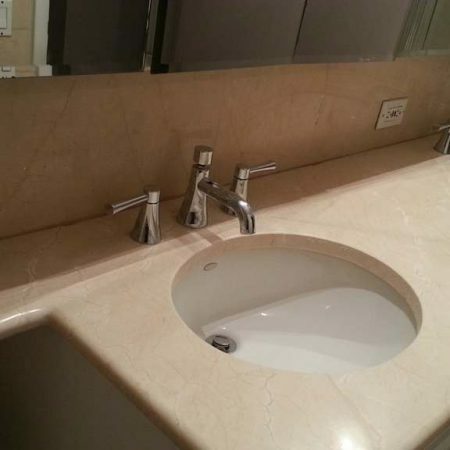 We are a professional marble restoration company and can complete the repairs your marble vanity top in couple hours. 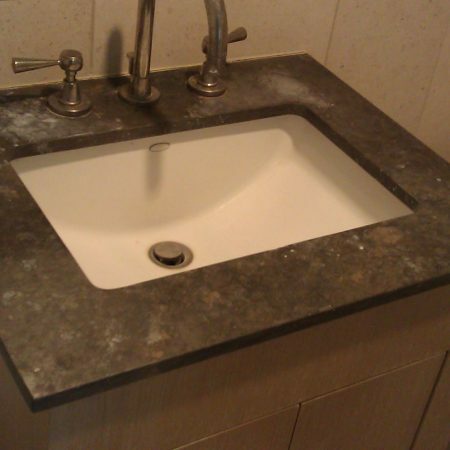 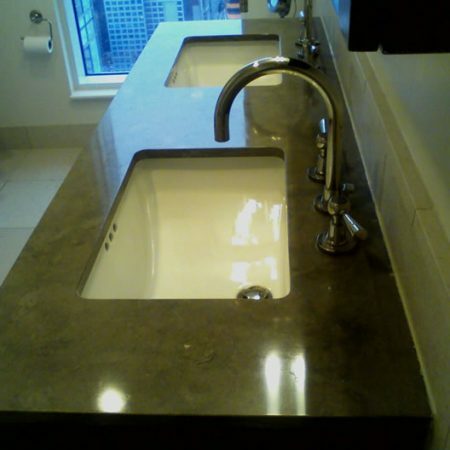 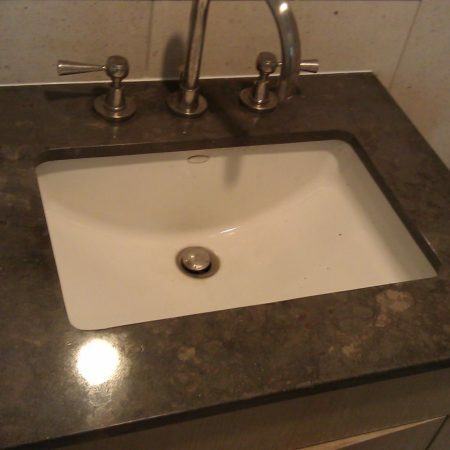 Vanity may also be known as sink top when it is small and little bigger than sink itself or when sink seamlessly join top. 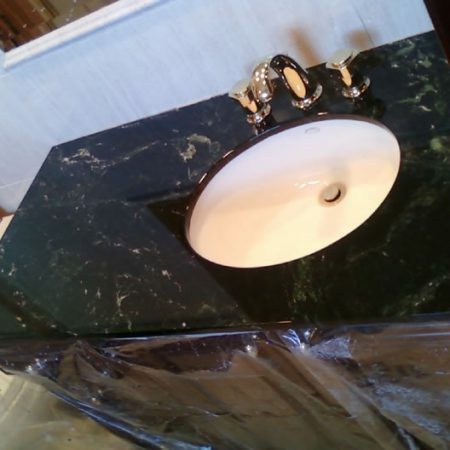 In any case, restoration of your marble top is cheaper then replacing it, especially if you have a custom-made vanity top. 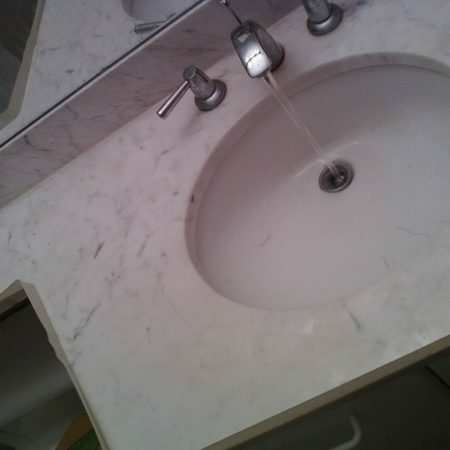 We lift the vanity, fix cracks, re attach sink and re caulk the backsplash.